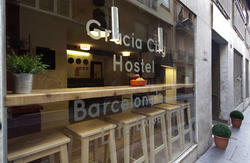 Melon District is a student residence and a new concept of accommodation for young travellers, located just 10 minutes walking from Las Ramblas. Melon District is a student residence and a new concept of accommodation for young travellers who are looking for a place to stay in Barcelona. Located on the well-known Parallel Avenue, and just 10 minutes walking distance to the city center, Melon District offers private single and twin rooms for daily stays with a small en-suite bathroom and a shared cooking lounge to cook, socialize with others and relax. 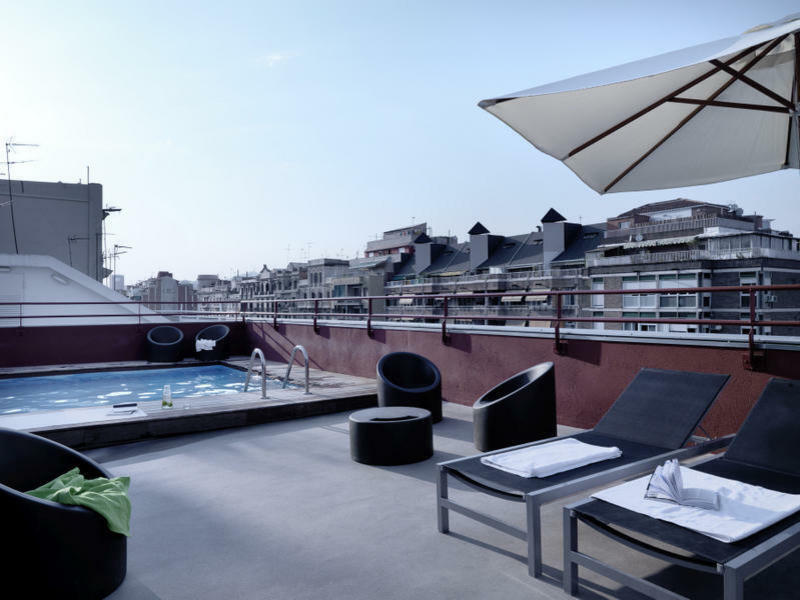 During the summer season, the residence boasts a pool and a solarium on the roof so guests can enjoy the mild Barcelona weather. The warm multicultural atmosphere is created through the international students who are coming to Barcelona to study or work for longer periods, or who are just dropping by for a holiday. 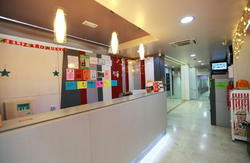 A bilingual staff (English / Spanish) will welcome you at the meeting lounge. The Weekly Room Cleaning service, including the change of the sheets and towels, is only provided for stays of 6 nights or more. 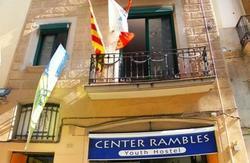 We are located in Parallel Avenue, number 101; corner with Blasco de Garay Street in the Poble Sec district, just 10 minutes (walking distance) from Las Ramblas and the City Center. From the metro stop Poble Sec, line 3 (green): just cross the street. The line 3 (green line): takes you directly to the Camp Nou Stadium, Las Ramblas, Catalunya Plaza or Barcelona University. Take the Airbus in front the Airport terminals (every 8 minutes from 5.30 to 24hrs) and get off at the Plaza de Espaa stop. Then take the metro line 3 (green) in the direction Canyelles and get off on Poble Sec. From there you just cross the street. Or you can take line 10 (Cercanas) to Sants Estaci station (approximately 30 mins). Change to the metro line 3 (green) in the direction Canyelles and get off in Poble Sec. From there you just cross the street. Line 10 timetable - every 30 minutes from the airport from 6:00am to 11:44pm. Take line 3 (green), direction Canyelles and get off in Poble Sec. From there you just cross the street. Take bus number 64 in Pla de Palau, direction Pedralbes. Get off at Parallel. From there you just cross the street. Take the metro, line 1 (red), to Catalunya. Change to the green line, direction Zona Universitaria and get off in Poble Sec. From there you just cross the street. Ryanair buses generally come into Nord Station (the main bus station). Please refer to directions above from the bus station.